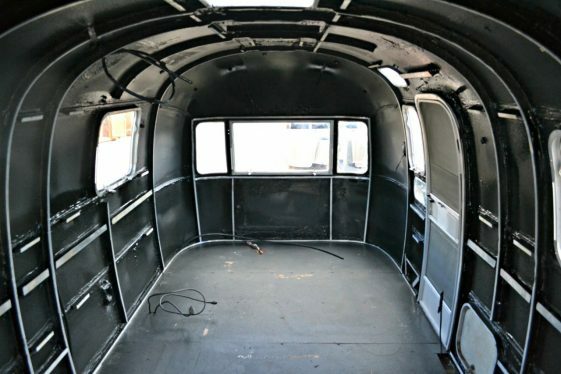 Here at VARR, Inc. (Vintage Airstream Restorations & Repairs) we are pushing ourselves to solving a very common problem that haunts all Airstream owners and the interior of their Airstream trailers both large and small. Our innovative solution will guarantee the air and water tight construction of all Airstream trailers left in a field to rot for over 60 years. After all you want to pass down your Airstream to your kids/grand kids so they too can explore the back roads of our great country and or custom design your brand in a Vintage Airstream trailer. Call VARR, Inc. (Vintage Airstream Restorations & Repairs) at 435-654-5465 or e-mail Gene@VARR.co to get more information on how to save these American made silver bullets.